Setting sail from the island of Santa Cruz and travelling all around the Galapagos Islands on a week-long adventure, the Integrity Yacht is on a path of discovery you won’t want to miss. From swimming with sea turtles and snorkelling with chocolate chip starfish to sipping on Champagne in the top-deck jacuzzi; expect the experience of a lifetime. Plus, with only nine guestrooms, it’s one you and precious others will be able to experience. 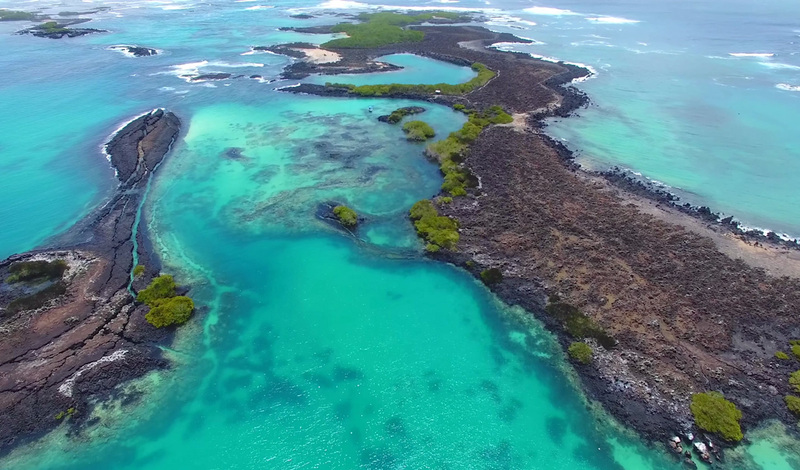 Setting sail from Puerto Ayora, a small town in central Galapagos and a one-hour thirty-minute flight from Quito, you’ll have the choice of two routes; East or West. Whichever way, expect to visit at least eight islands, each with their own unique characteristics and most of which are uninhabited and without mammal predators, meaning the indigenous animals of the islands are completely unfazed by human visitors. If you want more control over your route, take Integrity over in its entirety and have the luxury of personalising your onboard Galapagos experience. There are just nine guestrooms aboard the Integrity, meaning privacy is guaranteed. The eight staterooms all boast large picture windows that let in floods of light and open onto ever-changing sea views, whilst the Owner’s Suite is the ultimate in luxury; spanning the entire width of the yacht and complete with king-size bed and private lounge area. Whether you take one cabin or take them all, you’re promised an intimate experience where nature does the talking. 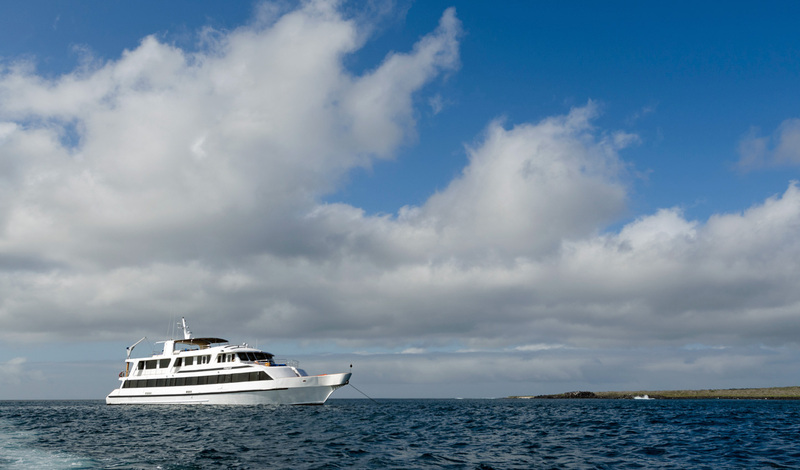 The Galapagos Islands are the perfect destination for the curious mind and a few days onboard the Integrity Yacht will see you waking up in a different part of the Pacific Ocean each morning. Taking you into a remote and unspoiled environment made up of 80 volcanic islands, rocks and islets, Integrity gives you the opportunity to see nature as it was intended; undisturbed and in a protected environment. Sealions, giant tortoises, iguanas and penguins, you name it, there’s nowhere else quite like it.